The House System supports the College’s strong Pastoral Care structure. Daramalan has eight House Groups with students becoming a member of a House upon enrolment. 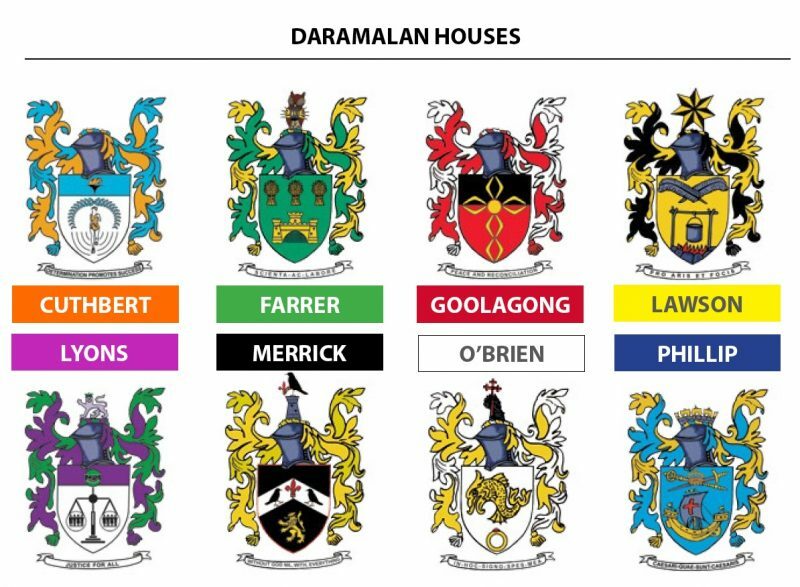 The Houses are Cuthbert (Orange), Farrer (Green), Goolagong (Red), Lawson (Yellow), Lyons (Purple), Merrick (Black), O’Brien (White) and Phillip (Blue). As a general rule, a student belongs to the same House throughout their time at Daramalan with siblings belonging to the same house. Each House consists of about 170 students. In most cases students will be cared for by the same House Coordinator and pastoral staff for their entire time at Daramalan allowing staff and families to build and maintain positive and effective relationships. The students are grouped into eight vertical groups (by House) comprising of boys and girls from Years 7-12 under the care of a House Coordinator. House Coordinators are responsible for monitoring the academic and general progress of the students. Each student is also placed in a horizontal group based on their Year Level with their House Pastoral Tutor (PT) meeting with the House group each morning. PT’s are supported by Pastoral Care Advisors (PCA’s) who oversee the care for our students in junior year groups. House Coordinators support our students in Years 9 – 12. The House system encourages a sense of belonging amongst College families and staff with loyalty and commitment to a House group being built over time. Parent volunteers assisting at school events can also demonstrate House spirit by working together at College community days such as Sacred Heart Day and the annual Charity Walk. Better knowledge of family background, interests, capabilities, personality and needs. This also increases the extent to which a student feels known and cared for. Following the academic progress of students through having knowledge of the courses studied and individual performance in courses. This is supported by structures such as homework diaries, contact with subject teachers and written and oral reporting. Effective communication between parents, House Group Pastoral Tutors (PT’s), Pastoral Care Advisor’s (PCA’s) and House Coordinators. 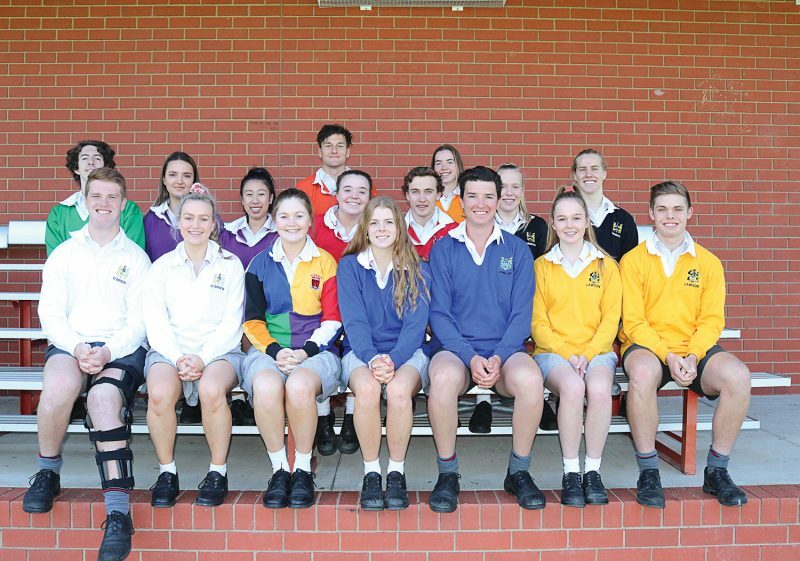 Provides leadership roles for students with a boy and girl from College (Year 12) serving their House in their role as House Captains throughout the year. Encourages participation in co-curricular activities provided within the College. Flagship events include the House Swimming Carnival, House Cross-Country Carnival and the House Athletics Carnivals. Year-level specific House Competitions provide opportunities for students to share experiences, foster new friendships and strengthen existing relationships. Develops positive behaviour in all areas of a student’s life, from wearing the Daramalan uniform correctly and with pride, as well as using resources including the school Diary and intranet portal to help organise themselves. Students become more confident and benefit from having the same House Coordinator and staff for all or most of their time at the College. Key staff working with groups of students within the House Structure helps students and families work together to have any issues promptly addressed with positive outcomes.